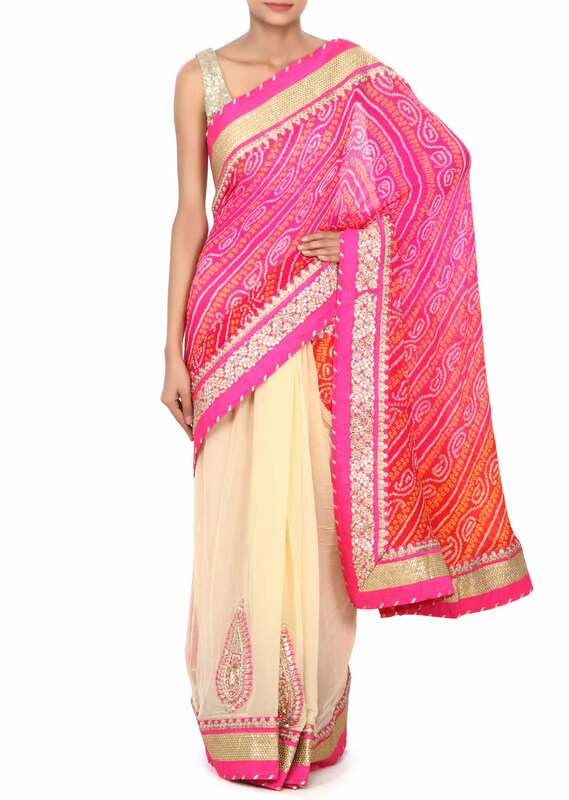 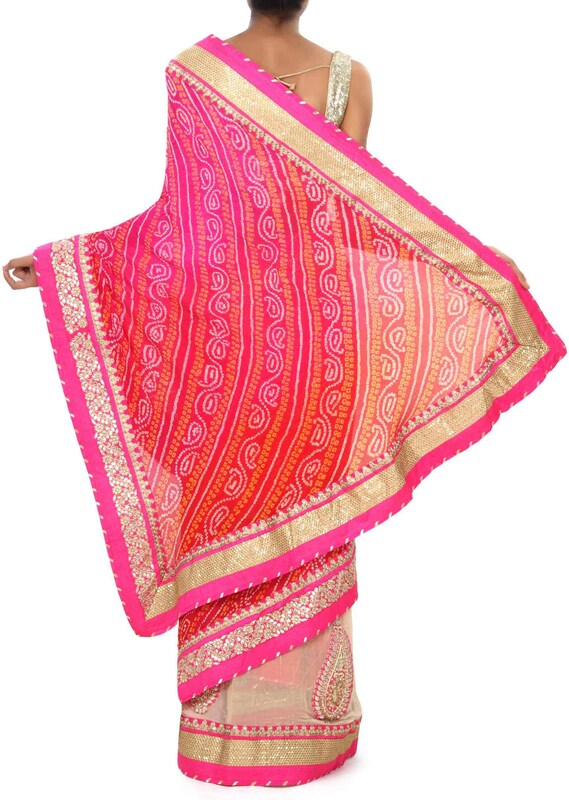 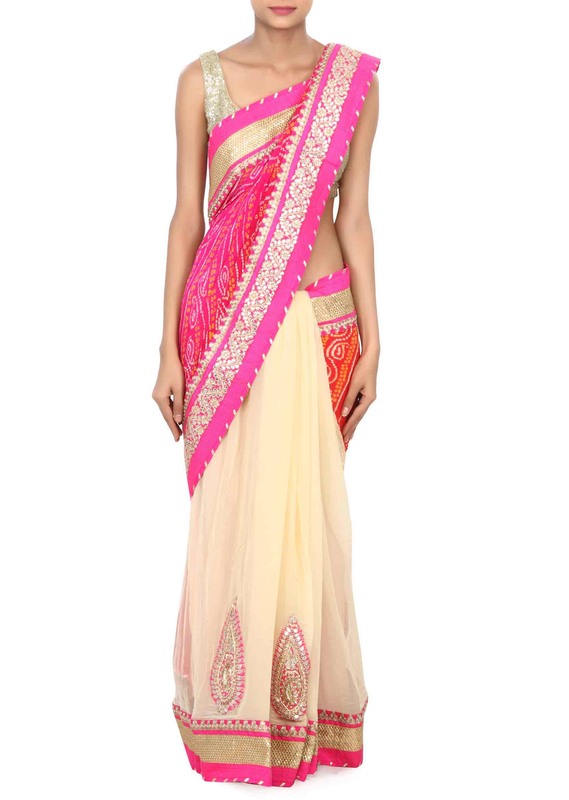 Half and half saree with pallav in pink and red bandhani and other half in cream georgette. Its enhanced gotta patch work. 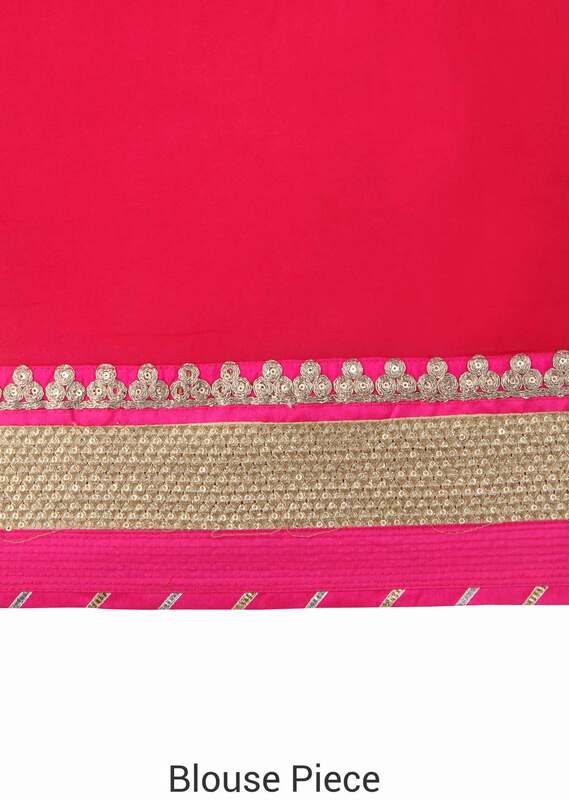 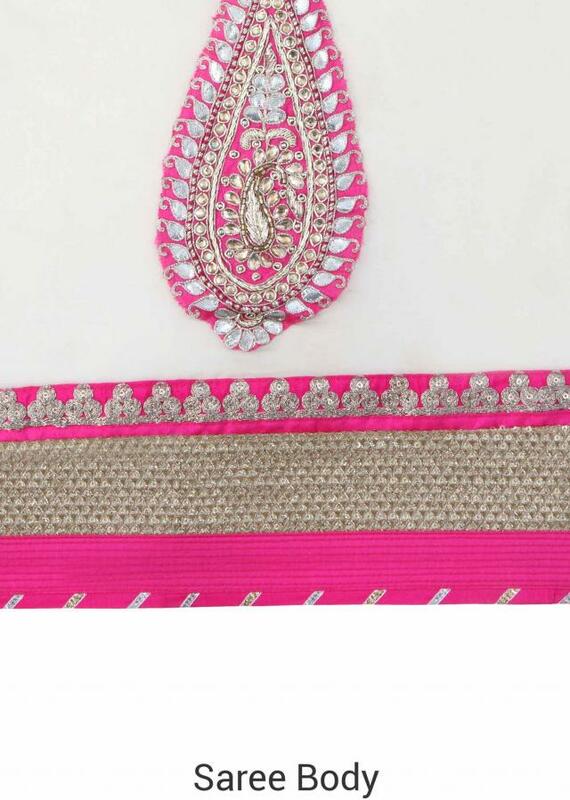 Blouse is unstitched in pink georgette.